John Mellencamp embarks on a 2019 tour, "The John Mellencamp Show" set to coincide with studio album release. The John Mellencamp Show will feature rock icon's classics plus some new material. 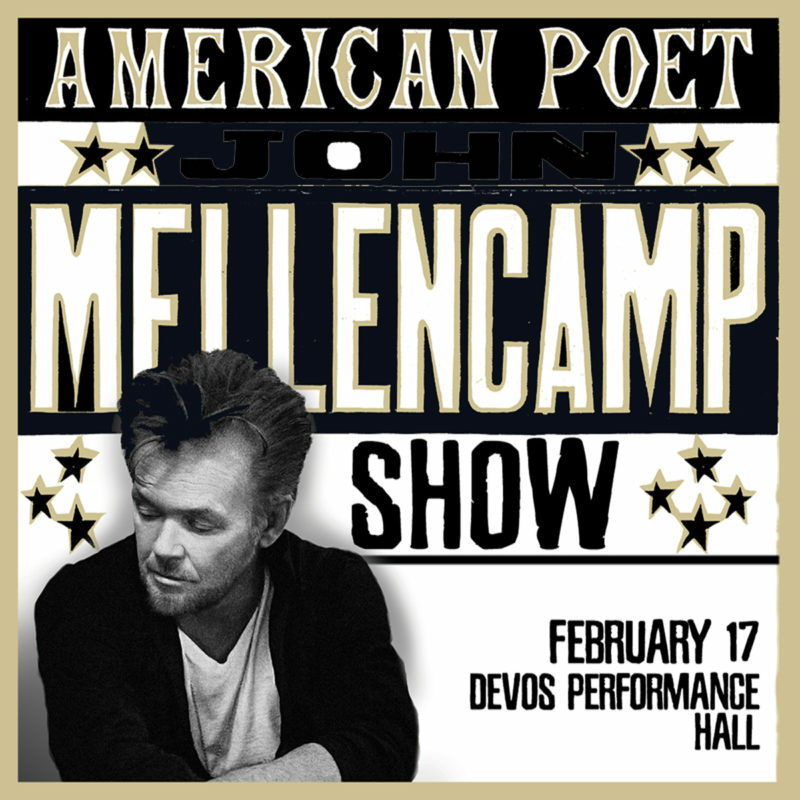 Hailed by critics and fans alike as one of music's most authentic and crowd pleasing concert performers, Mellencamp will begin th tour February 7th in his home state of Indiana and will span two months including a stop at DeVos Performance Hall on Sunday, February 17th at 8:00PM. Tickets go on sale on Friday, September 21st at 10:00AM. Ticket prices are subject to change. For current ticket prices, visit Ticketmaster.com. Ticket prices may vary, as market pricing applies to all tickets. Prices may fluctuate based on supply and demand. Tickets may be purchased at Ticketmaster.com, Van Andel Arena and DeVos Place box office or charge by phone at 1-800-745-3000. Every ticket purchased online will receive a physical copy of Mellencamp's forthcoming album "Other People's Stuff" set for release on November 16th by Universal Republic. About John Mellencamp: John Mellencamp's career in music, spanning more than 35 years, has seen him transition from pop star to one of the most highly respected singer/songwriters of a generation. Mellencamp is incredibly acclaimed; he is a member of the Rock and Roll Hall of Fame, a Grammy winner, a recipient of the John Steinbeck Award, ASCAP Foundation's Champion Award, The Woody Guthrie Award and American Music Association's Lifetime Achievement Award and more recently, the Founders Award, the top honor assigned by the American Society of Composers, Authors and Publishers. Additionally, he was recently inducted into the Songwriters Hall of Fame this past June. He is also one of the most successful live concert performers in the world. In 1985, Mellencamp, together with Willie Nelson and Neil Young, created Farm Aid. The social activism reflected in his songs helped catalyze Farm Aid, the concert series and organization that has addressed the struggle of American family farmers for more than 25 years.